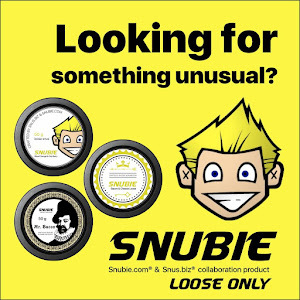 Snubie.com: General Cut (Chew Bags): Original - Review. 28 April 2018. General Cut (Chew Bags): Original - Review. 28 April 2018. 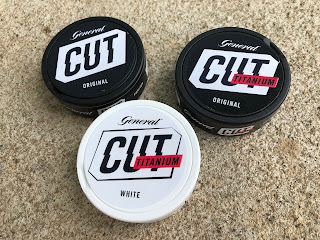 January of last year I reviewed General Cut - Original and Extra Strong. 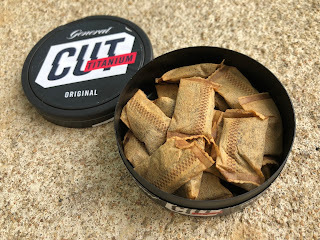 These were "chew bag" products produced by Swedish Match. 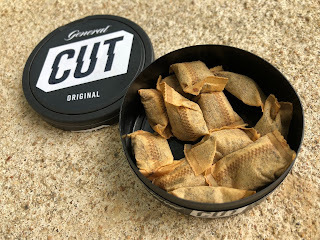 For those just tuning in, chew bags are products made much the same way as snus, but branded as "chewing tobacco" or "chew bags" so they can be legally sold in the EU. 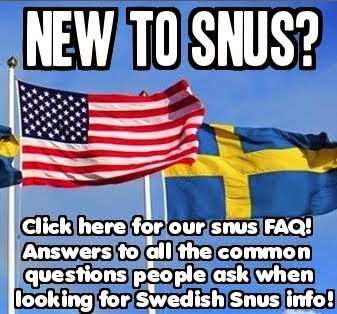 I won't go too much into the differences between Swedish Snus and Nordic Chew in this video, but if you want to learn the differences, you can check them out in this video. So why, you may ask, am I revisiting these products? 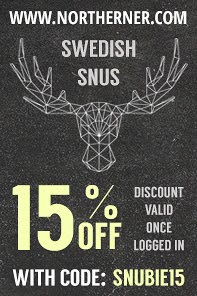 As some of you may recall, in September of 2017, Swedish Match purchased V2 Tobacco. 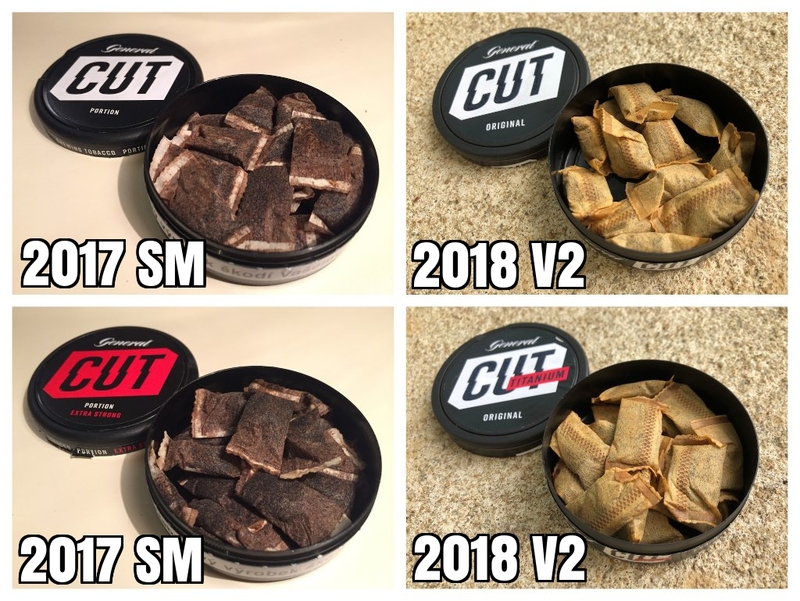 V2 had a strong handle on production and distribution of these chew bag products, and now it appears as though Swedish Match is shifting production of their chew bag products to the V2 factory in Denmark. 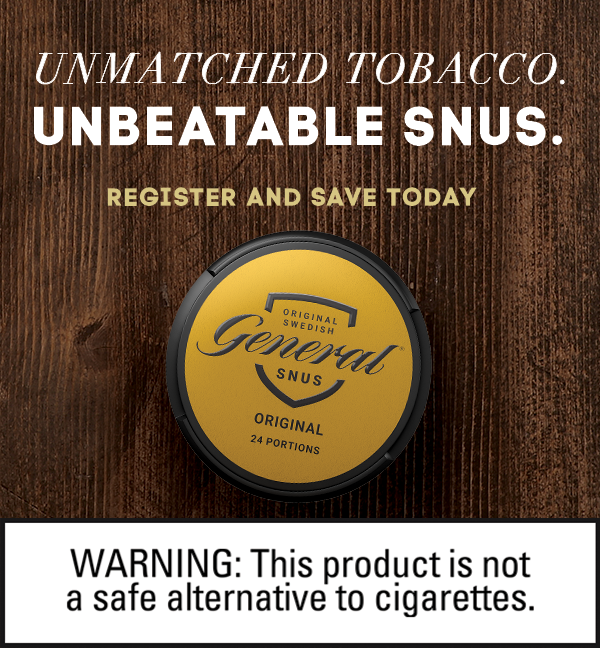 The bottom of the can now says "Produced in Denmark at Swedish Match NE AB", which I'm assuming is V2 Tobacco. In light of that, I decided I would revisit these products to see what changes had occurred, and compare them to the last time I reviewed them. 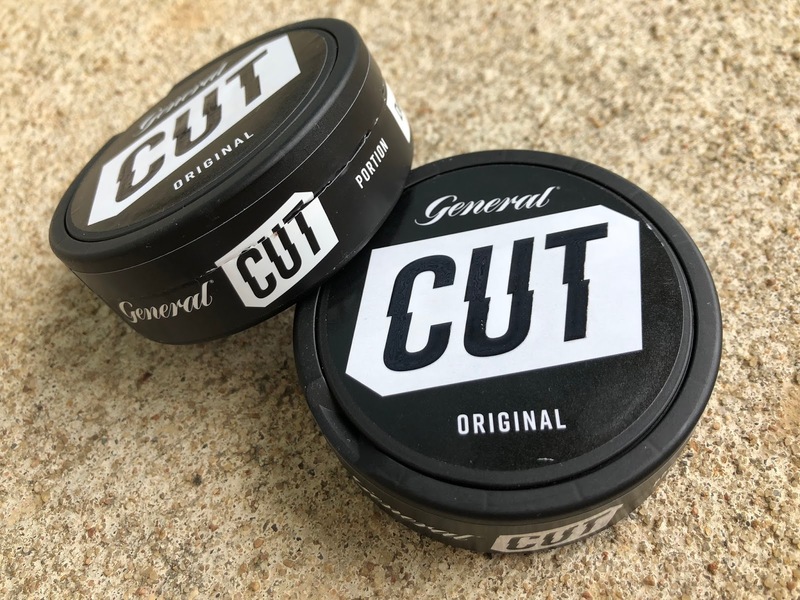 The flavor description for these says, “General Cut Original has a full bodied and spicy tobacco taste with notes of bergamot and hints of tea, hay, and leather." This product comes in an 18 gram can with 18 portions for 1 gram each. The nicotine content is 14mg/g (1.4%) which breaks down to 14mg/portion. When you open the can, the aroma is a rich tobacco smell, accompanied by a little pepper and a touch of citrus. 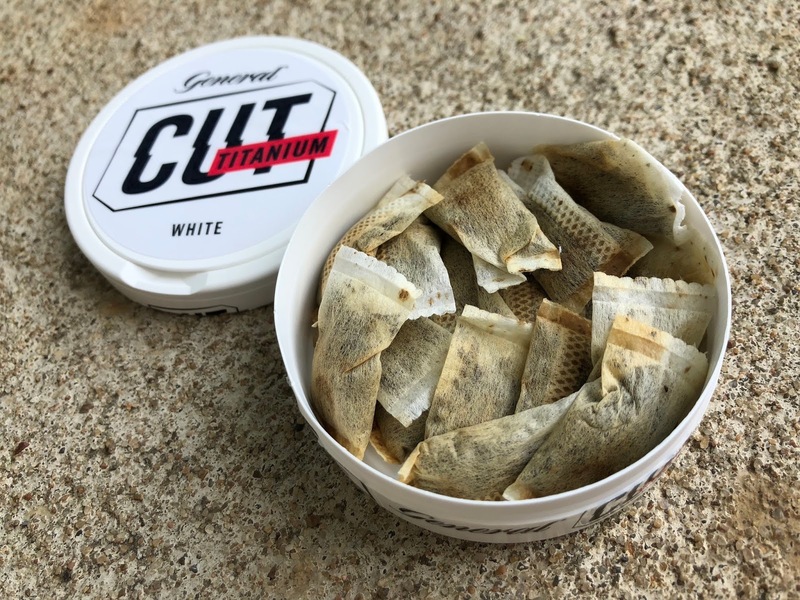 The portions are soft, have a decent amount of moisture, and soft tobacco. The flavor is a present tobacco taste accompanied by a clean, clear citrus flavor and a touch of pepper. The nicotine feels to be right at the strong level and has a nice kick. The flavor lasts a good amount of time; I can usually keep these in for up to an hour. If I had to compare, I would say these remind me of a mix of General XRANGE Original and Offroad Gold Original. It’s pretty tasty. The flavor description for these says, ”General Cut Titanium Original has a full bodied and spicy tobacco taste with notes of bergamot and hints of tea, hay, and leather.” This product comes in an 18 gram can with 18 portions for 1 gram portions. 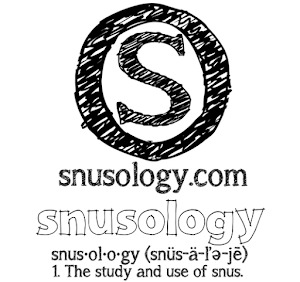 The nicotine strength is 20mg/g (2.0%), which breaks down to 20mg/portion. When you open the can, the aroma is a present, earthy tobacco smell with a touch of citrus and a little pepper. The portions are soft, have a great moisture amount, and soft tobacco inside. The flavor is an earthy tobacco taste with a clear, clean citrus flavor and a mild touch of pepper. The nicotine has a really strong kick and feels right at the extra strong level. The flavor, on average, lasts up to an hour. Also, when comparing, and much like the last one, these also remind me of a mix of General XRANGE Original and Offroad Gold Original in terms of flavor. This is a new one. 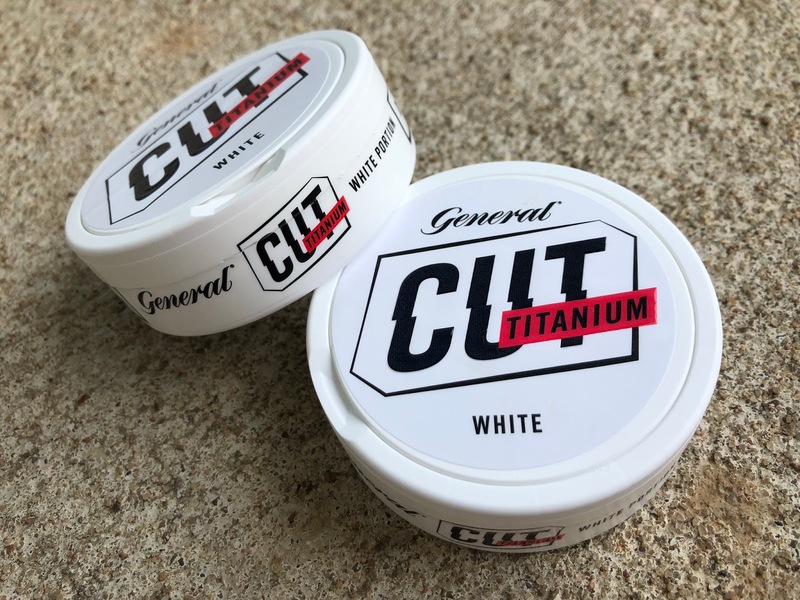 Cut was originally launched with Original and Original Extra Strong White; there wasn't a white portion version, but now there is! The flavor description for this product says, "General Cut Titanium White has a full bodied and spicy tobacco taste with notes of bergamot and hints of tea, hay, and leather." This product comes in a 21.6 gram can with 24 portions for 0.9 grams each. 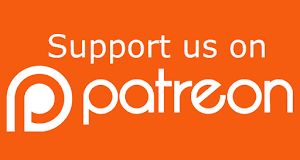 The nicotine content is 20mg/g (2.0%), which breaks down to 18mg/portion. I was really interested to try this one, as there wasn't a version of these released in the past. When you open the can, the aroma that greets you is a mild, gentle tobacco character with a present citrus smell and a light hint of pepper. The portions are very soft and also contain soft tobacco. The flavor is a balance of mild tobacco character and mild, gentle citrus. There’s also a little pepper in the background. The nicotine packs a punch - it feels firmly at the extra strong level and hits quicker than most chew bags I’ve had in the past. The flavor on these lasts well over an hour; I’ve had some in for up to an hour and a half. If I had to compare, I’d say these remind me of a cross between General XRANGE White and Offroad Gold White Mini. So, you're probably wondering what the differences are. I threw together a quick photo so you can see the Swedish Match version (left) with the V2 Tobacco version (right). The taste is different - but I find it to be more gentle, and balanced. 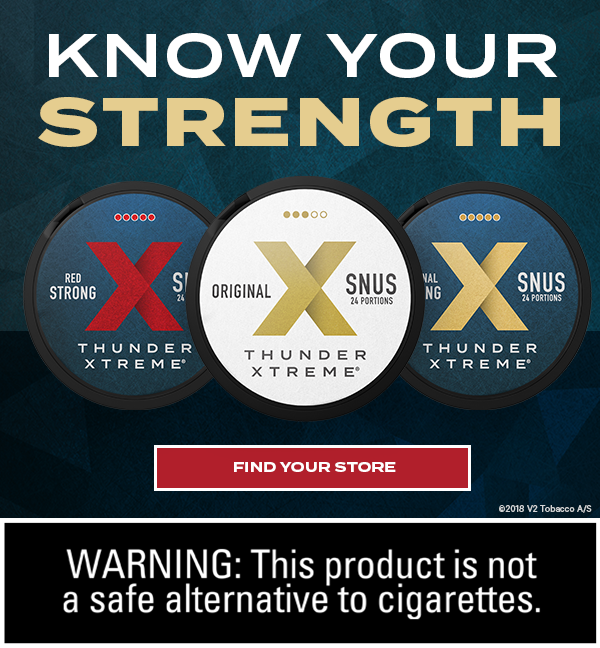 The nicotine is the same in the regular version, but 2mg/g higher in the extra strong version. I find both to be pretty good, so it's hard to say one is better than the other. All I can say is this - they're different. But the new ones are definitely worth a try and I did enjoy them! 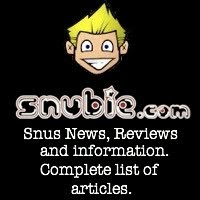 Sweden got some sort of waiver for snus products before agreeing to join the EU. 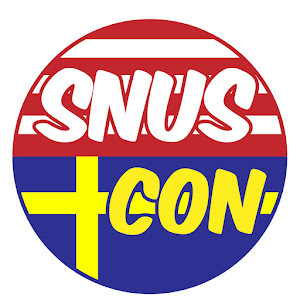 Did this not cover selling snus in the EU?